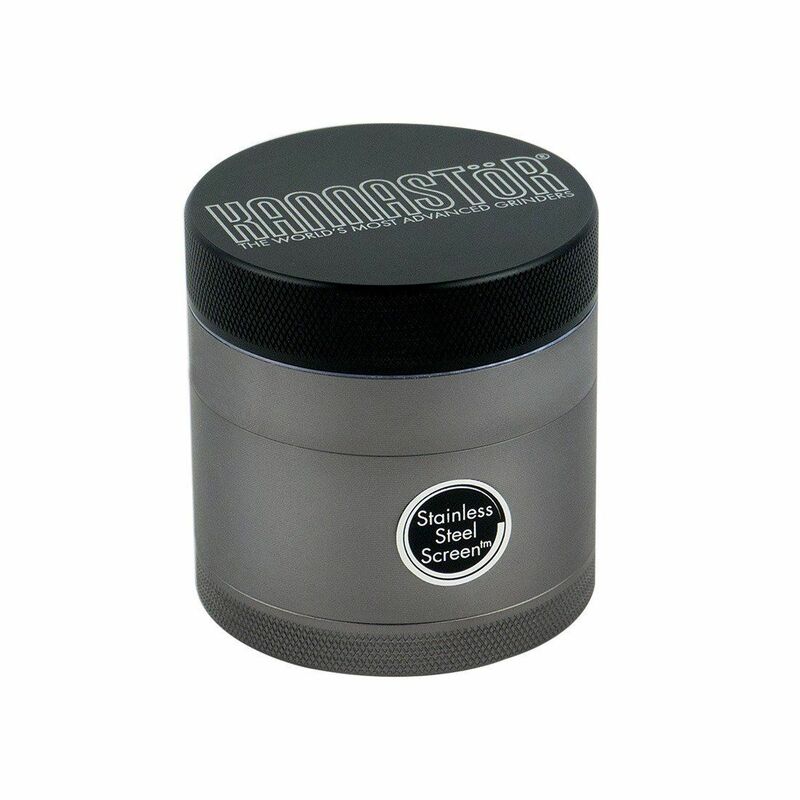 The 4 Part Kannastor Gunmetal Series Grinder is the latest Multi-Chamber grinder by Kannastor that sports the same great features but with a sleek matte gunmetal finish for the looks to match. 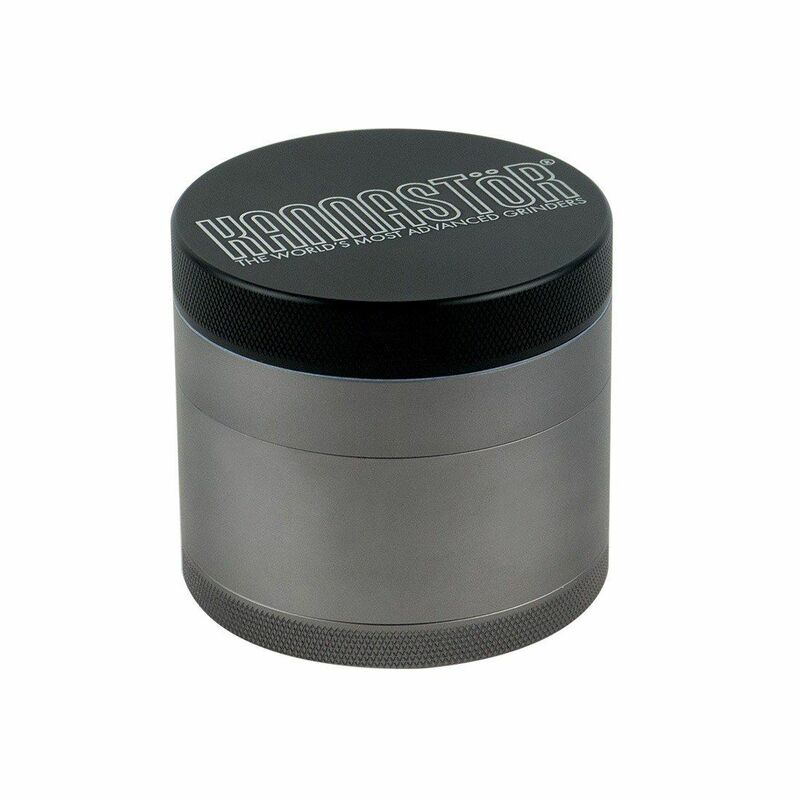 It is constructed from a heavy duty 61/60 aluminum that passes through a cutting-edge anodizing process that essentially creates a protective barrier over the raw aluminum. 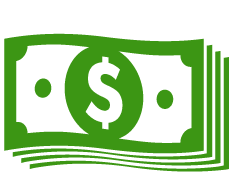 This process renders it highly resistant to your average everyday wear and tear, leaving you with a durable piece that will look like new for plenty of time to come. 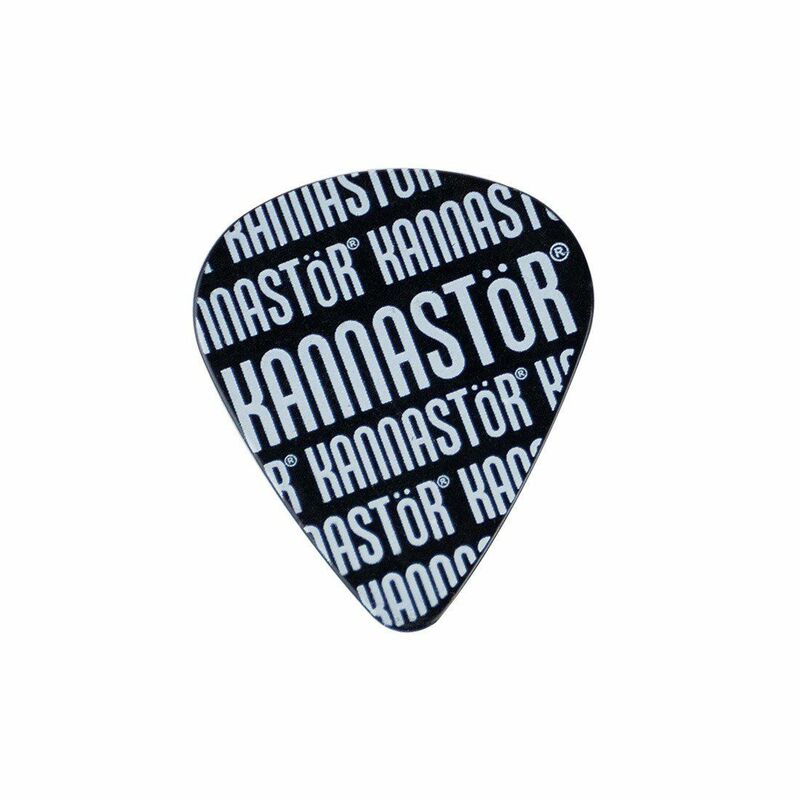 Kannastor implements a specially engineered tooth pattern/drop through hole combo that delivers a perfect grind consistency each and every time. 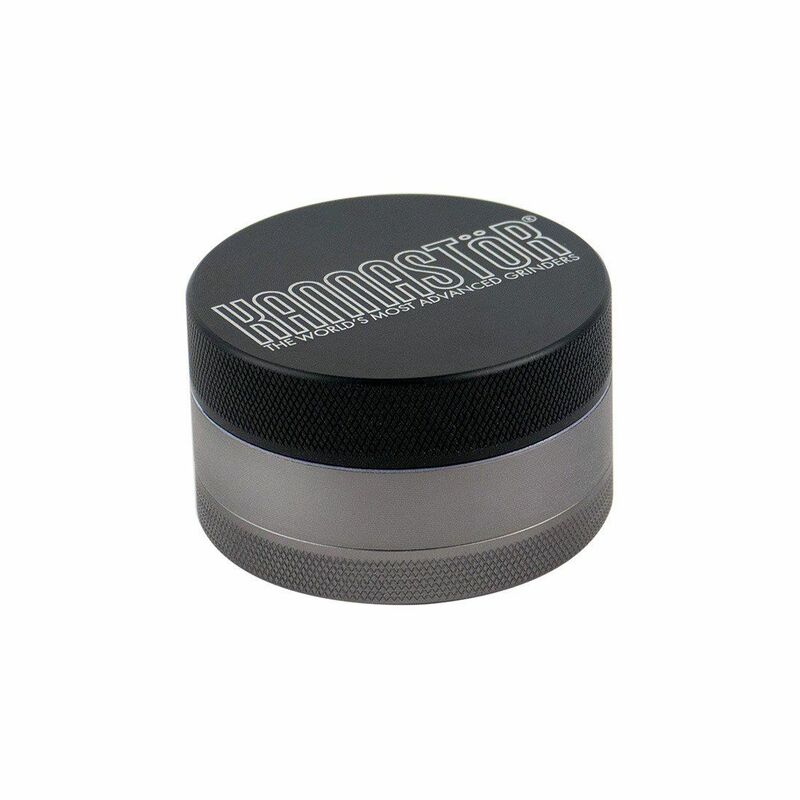 This design is proven to be effective and efficient, creating an effortless grind without ever over shredding. 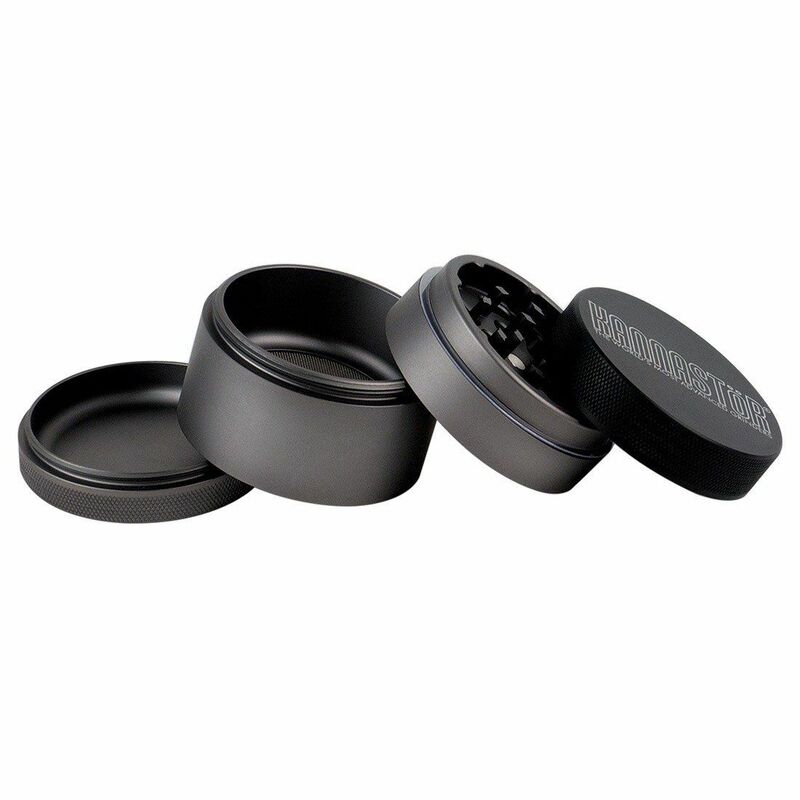 These innovative 4 Part Grinders also feature a modular design that allows you to customize your Kannastor for easier travel. 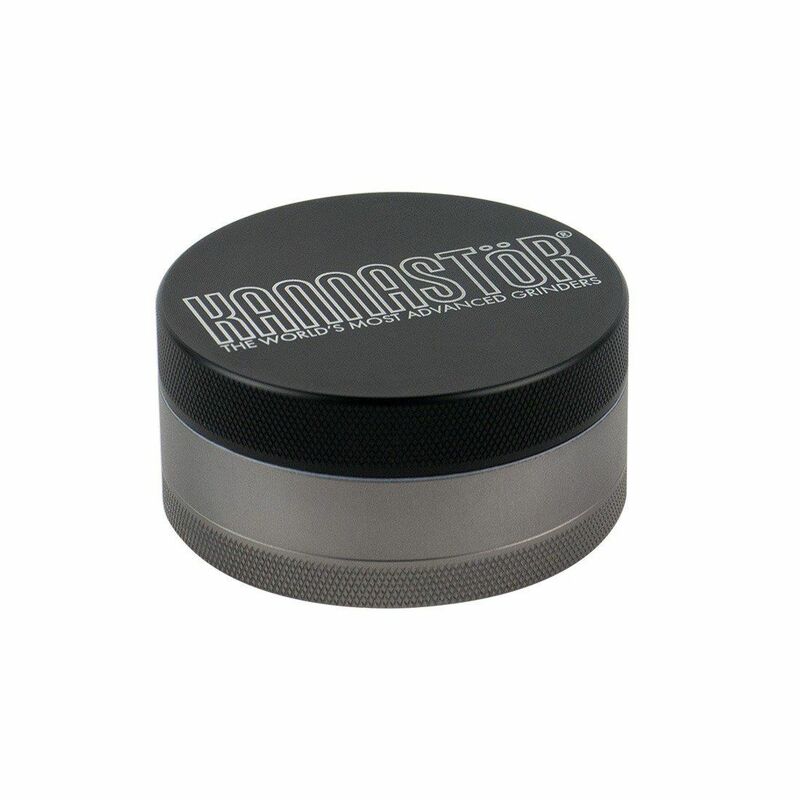 Simply remove the sifting chamber to slim down the overall size of it and grind directly into the bottom collection storage area. 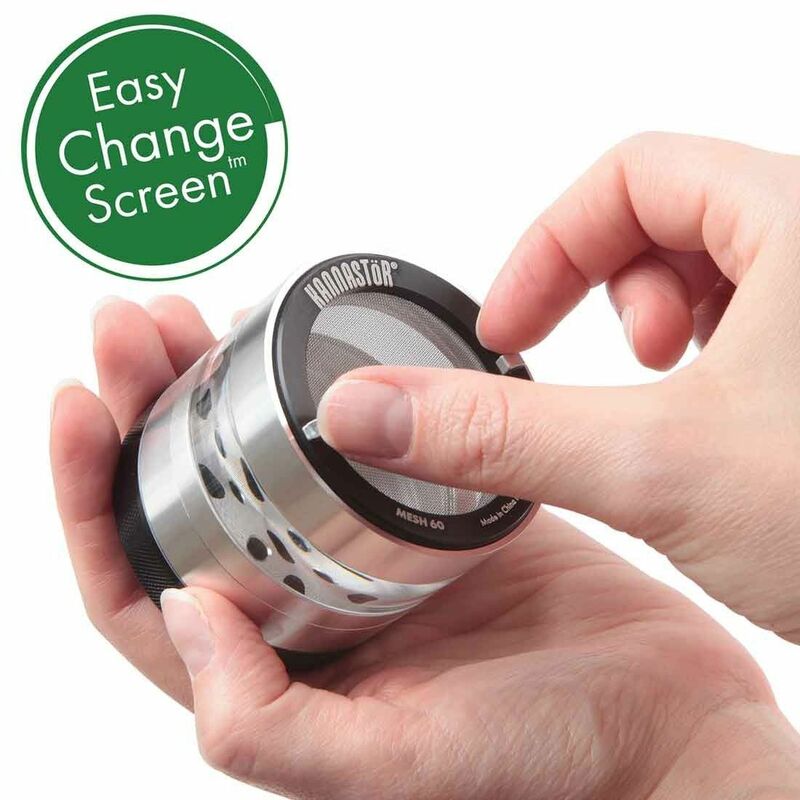 Each Kannastor Gunmetal Grinder comes equipped with their unique Easy Change Screen design. 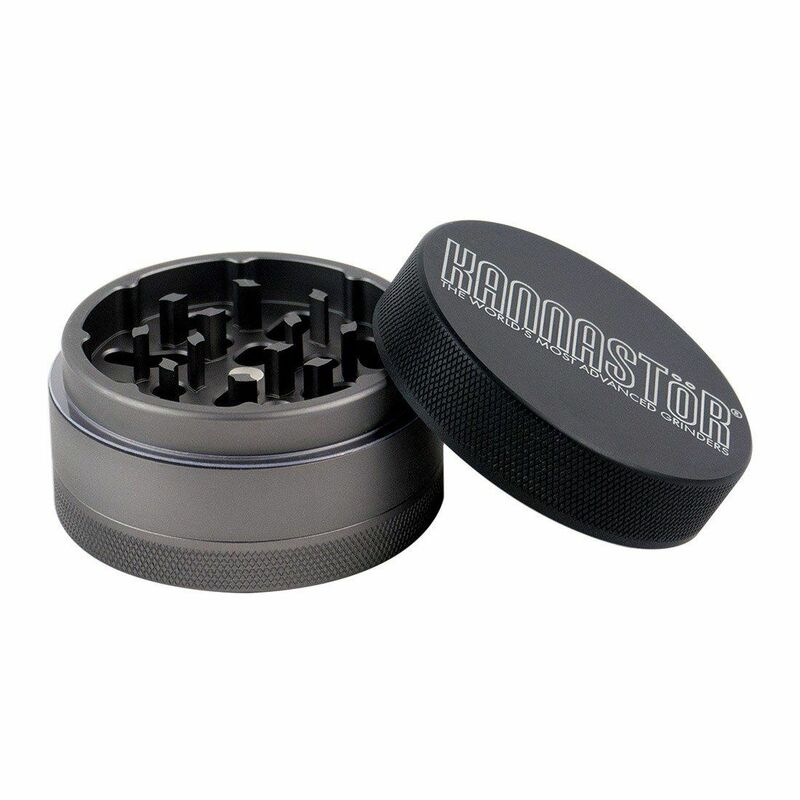 This patented design utilizes an outer threading that requires just two fingers to quickly remove the sifting screen rather than replacing the entire grinder. 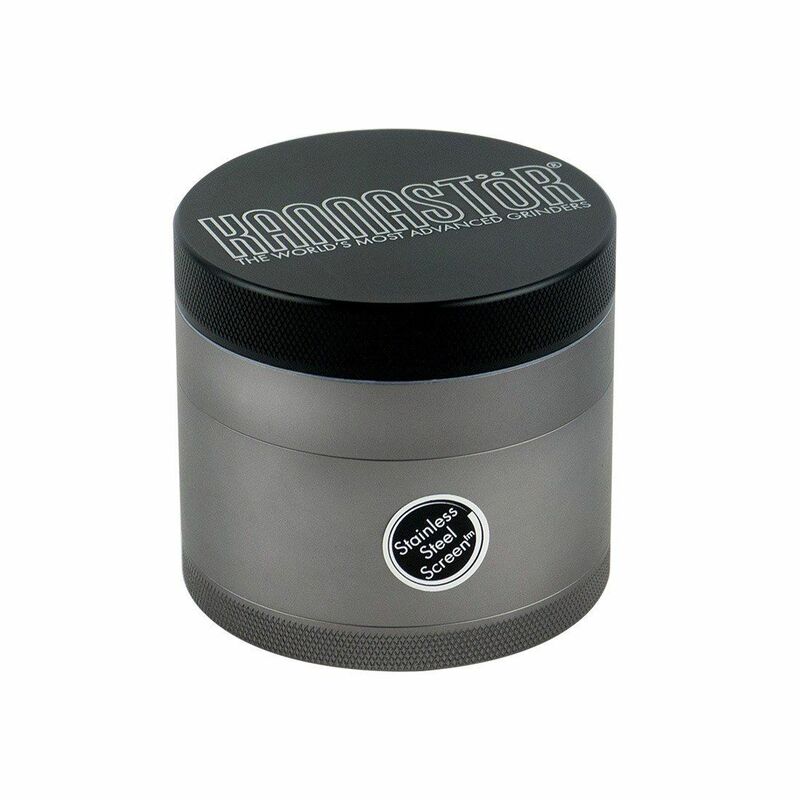 The Gunmetal Kannastor's are stocked with a 60 Mesh stainless steel screen but Kannastor also offers the 100 Mesh Monofilament (sold separately) for the finest sift quality possible. 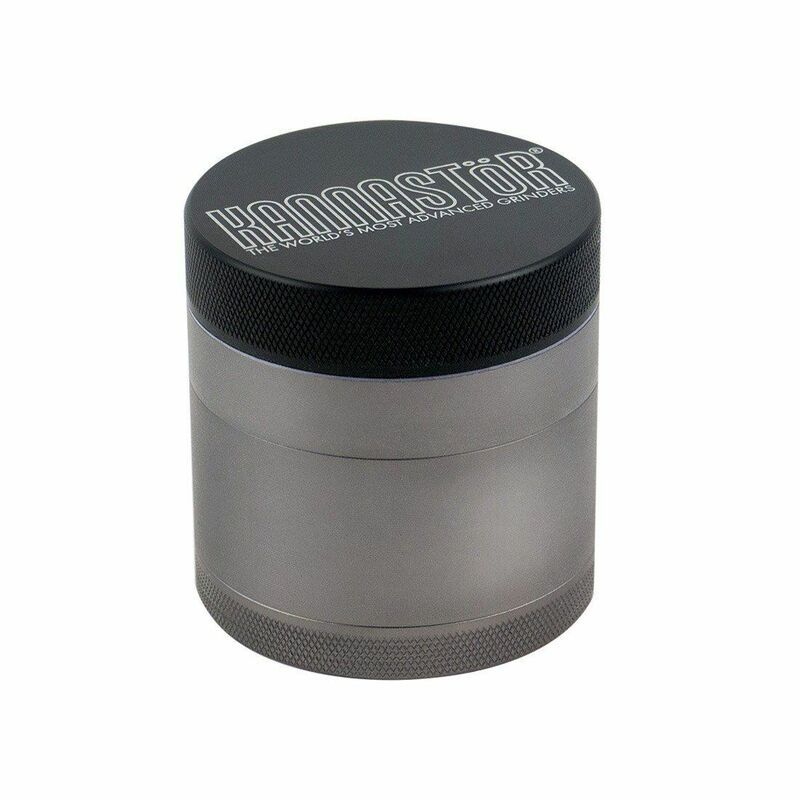 This edition to the Kannastor Gunmetal Series features an all solid body construction to keep your grind game as discreet as can be. Treat yourself to the Gunmetal Kannastor today and keep prying eyes from seeing what you've got inside, you will be sorry you haven't sooner! 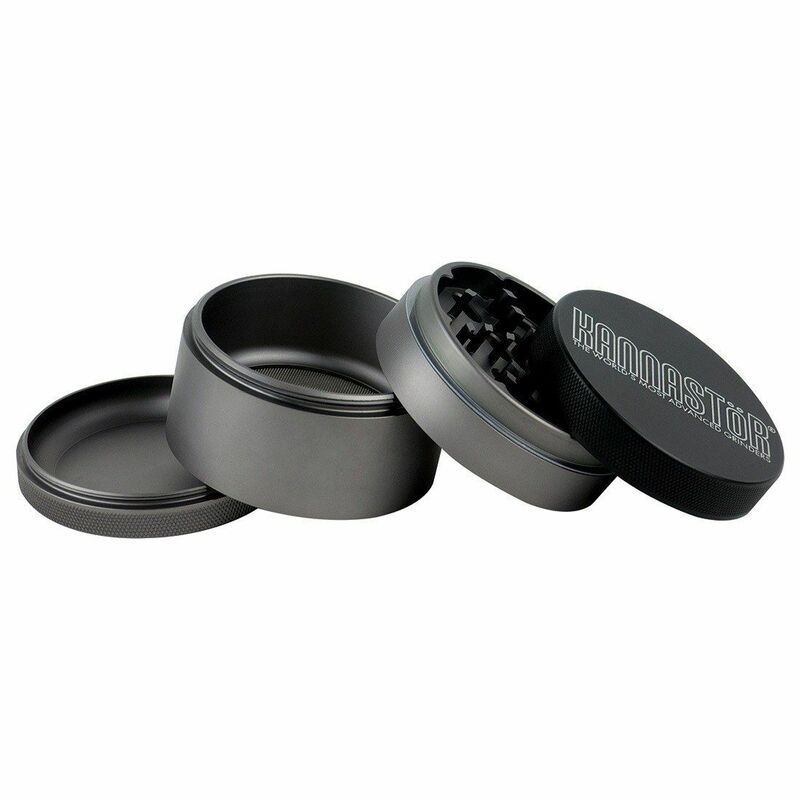 2.5" Dimensions: 2.25" (H) x 2.5" (D).